Ahoy there Sailing with Scissors Friend! Can you believe Christmas is almost here? Yikes...there is still so much to do! Just a quick note that we mailed out the class registration information letter to all of you last month. Everyone should have received it. If you didn't receive a letter, please contact Donna who can send one out to you. Also, if you have any questions about the classes, please feel free to bring them up in the Yahoo discussion group. 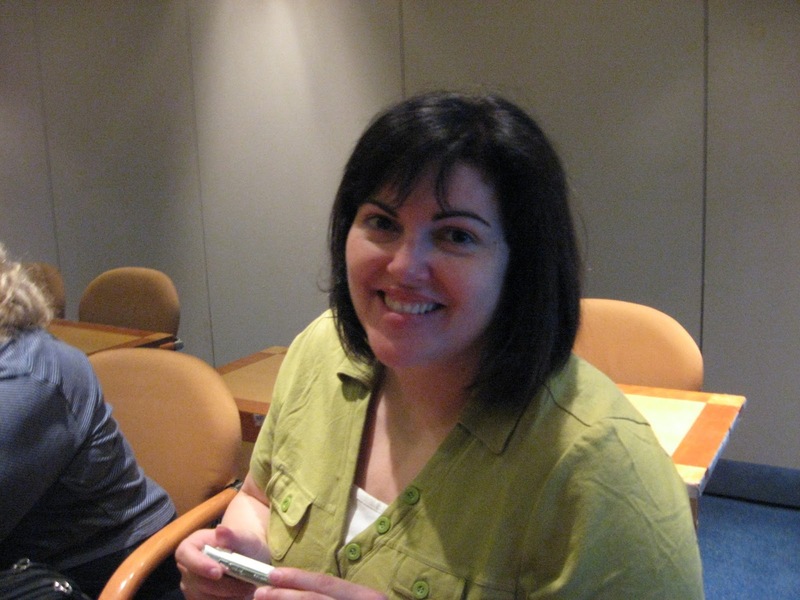 Alternatively, you can contact Jessie (her email address is on the letter) or contact Donna. We all have Donna's number on "speed-dial". This has an interesting twist on another ol' favourite. 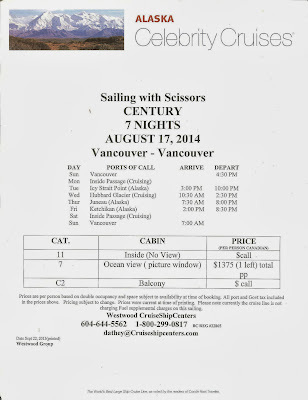 Sailing with Scissors members who sign up for this free event will be making the card shown below. 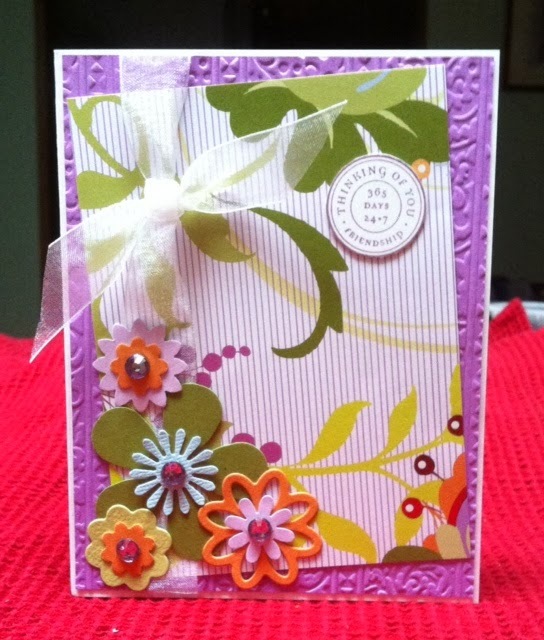 The twisty part about this card is that it is made using elements from the new die cut machine, Scan and Cut by Brother. Donna owns a Scan and Cut and she really likes it. Initially, I thought to myself "do I really need another die cut machine?" Well, after some research, I found out something very interesting about the Scan and Cut that appeals to us cardmakers. You will never need to fussy cut a stamped image ever again. Oh yes, you heard me correctly. Stampers are loving the Scan and Cut because you can stamp your image on paper, feed it through the Scan and Cut which will scan the image. You can then resize the image or edit it using the screen on the Scan and Cut. Then, you stamp your image again on your cardstock, feed it through the Scan and Cut and it will cut around your stamped image perfectly. All of this is done without a computer. I can't think of any other die cutting machine on the market that can do this so simply. I can't wait to see this demo. Sign up for this free event and be prepared to be pleasantly surprised. A little bird from Celebrity Cruise lines told out fabulous travel agent, Donna Athey that the ship is selling out fast for our date. It is on "Code Yellow". Sounds official to me. So, tell all your friends who have been hemming and hawing about joining Sailing with Scissors to call Donna and get booked. 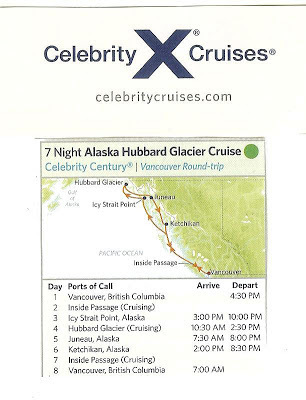 Here is the schedule of events for the cruise. Doesn't it all sound fabulous! Saturday August 16, 2014 – Time TBA. Pre-cruise Make N’ Take sponsored by Making Memories with Scrapbooking, Burnaby (suburb of Vancouver). Sunday August 17 – 2:00 pm to 2:30 pm – after boarding, we will meet at Michael`s Lounge on Deck 7 for a Meet and Greet as well as a presentation to our AHA (Alaska, Hawai, Alaska) Alumni and discuss treasure hunt rules. 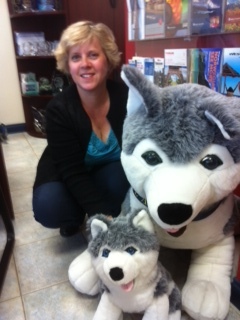 Monday August 18 – 9:30 am – Jessie, Donna and Celina will distribute the fabulous goodie bags. 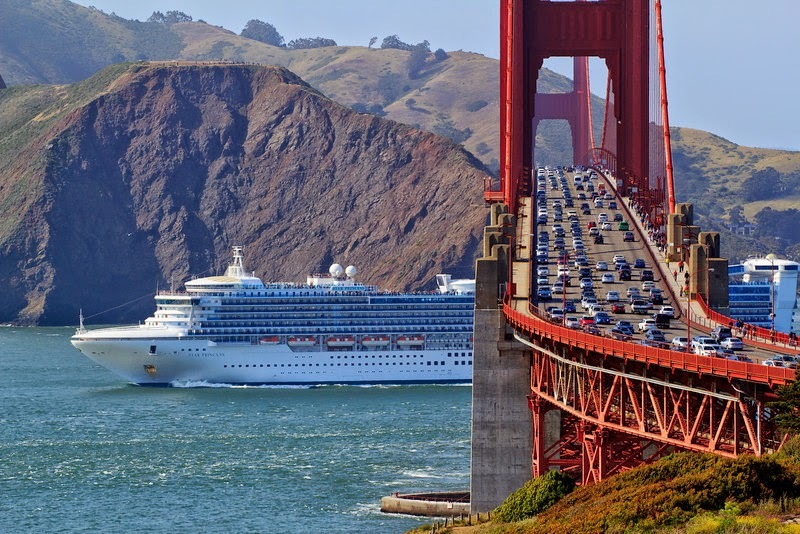 We have a Pre-cruise Make N' Take at Making Memories with Scrapbooking in Vancouver. Thank you to the owners and staff for hosting this event for us. Donna Athey is also putting together the questions for a Treasure Hunt aboard the ship. Oh yes! Donna is also doing a demo that coordinates with my free Make N'Take of a brand new die cutting machine. We have kept our favourite activities that were always great fun like the card swap, goodie bags, and wood mount stamp game. In addition, we have a guest survey so you can tell us what you want to see for future cruises. Our fabulous travel agent, Donna Athey, asked me to pass the word that she has cabins available for our Sailing with Scissors group. If you are interested in a category not shown below, please call Donna and she move your booked cabin to our group. 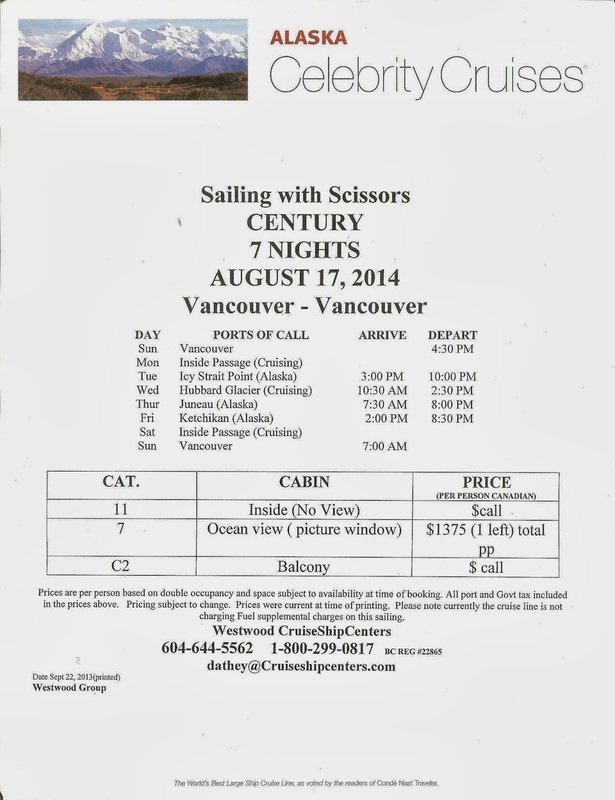 Donna and myself will be doing a free Make N' Take for all Sailing with Scissors participants. What gives this event a different twist is that you will be using a brand new die cut machine by Brother that comes out onto the marketplace next month. It is called the Scan N Cut. There are two very cool things about this die cut machine: first, it doesn't need any expensive cartridges; second, it is not plugged into a computer in order to capture an image. There are no other die cut machines on the market that don't use either of these image mechanisms. The scan n cut cuts paper, fabric, cardstock, vinyl, acrylic etc. 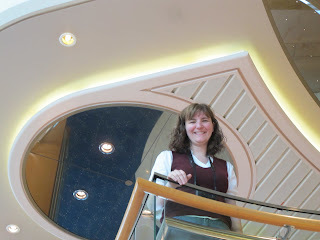 On the cruise, Donna will do a demonstration of the Scan N Cut. Then, you will piece together the card for the make n' take. At this time, you will use the Scan N cut to cut out cardstock images to place onto your card. How fun is that! If you would like to take a peek at the Scan N' Cut before our cruise, Donna has asked the fine folks at Brother to do an exclusive presentation for our Sailing with Scissors group before the end of this year. The demonstrator from Brother will be doing a really interesting demonstration for us on November 2, 2013. It will be held at Castles Sewing Center, 18543 Fraser Hwy, Surrey BC. You can drop in anytime between 1 pm and 5 pm. However, please call Castles at 604-574-5333 to reserve your spot. Make sure you sign up for the Yahoo Group. We have posted scoop there that isn't here on the blog yet.